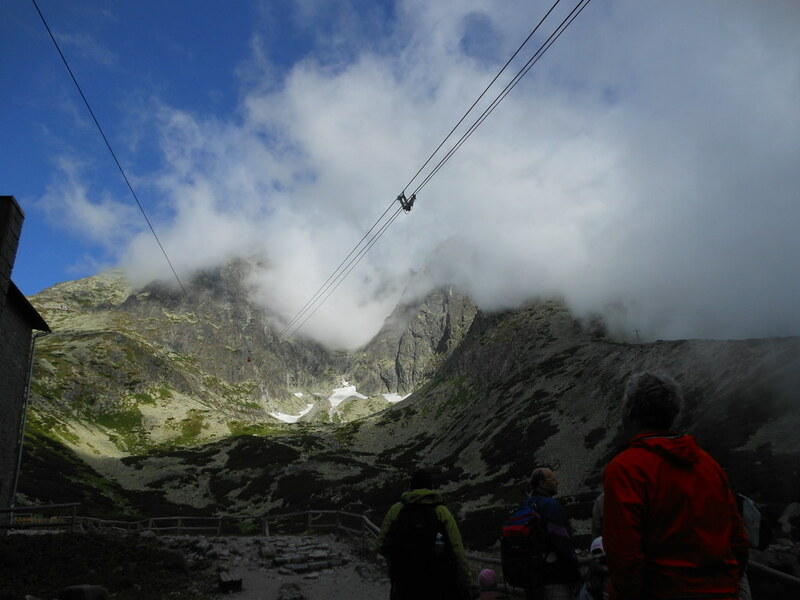 An ascent of Lomnicky Stit has been done (famous peak of High Tatras at 2600m)! First you take a ride in a little ski lift bubble car part way up the mountain, then change to the red cable car that takes you to the summit. We admire and thank the German and/or Austrian engineers who built all this and made it work. We had wonderful views to the plains in the south and east and could see the city of Poprad at the foot of the Low Tatras. Summiteers get 50 minutes at the top. It’s cold up there – plenty of ice on the ground and on the metal railings. The clouds were swirling around but lifted enough for us to see glimpses of alpine tarns, precipitous drops, rock faces and zigzag walking tracks way below. There is a cafe of course – it has a rather sophisticated James Bond style ambience with white leather furniture and people drinking spirits. We fitted in well. Returning to lower altitudes we had another puncture to fix (Ian – 6, me – 0), then a ride of about 60km along a road skirting the mountains and giving spectacular views to the bare peaks on one side and the valley and Low Tatras on the other. We were still at 1000m so it was cold. 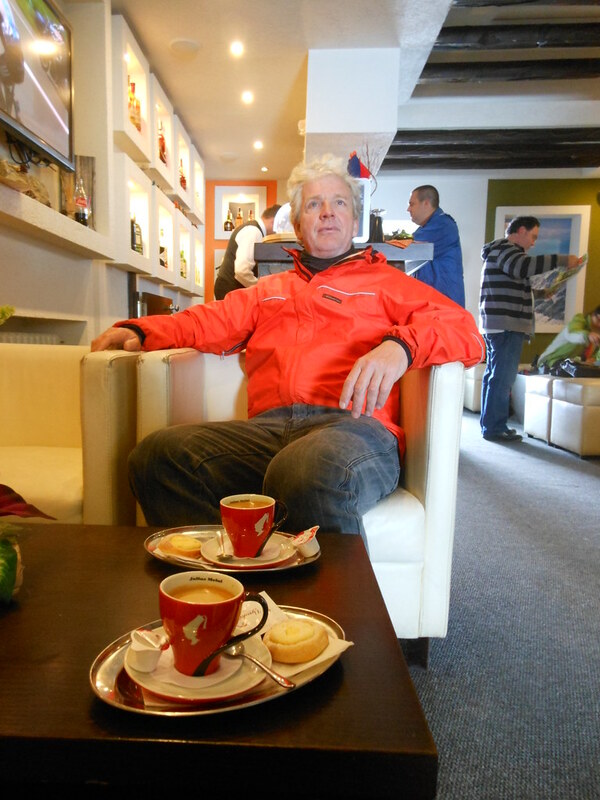 A long descent brought us to Hradek whereupon a discussion of route options influenced us to travel by train to Zilina. We had only a 30 minute wait for an excellent train service, inexpensive, with bicycle storage included. We have now avoided an area that would have placed us in unacceptably heavy traffic with few other options. Zilina is one of those pleasant surprise towns. It has two large squares and a lively atmosphere. In the lower square there was a big screen showing The Big Lebowsky dubbed into Slovakian and about 20 people in chairs watching it! This entry was posted on 18 July 2012 at 8:26 pm and is filed under Slovakia. You can follow any responses to this entry through the RSS 2.0 feed. You can leave a response, or trackback from your own site.